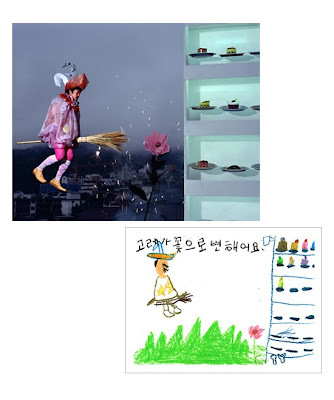 Korean photographer, Yeondoo Jung, works and lives in Seoul and graduated with an MFA from the University of London’s Goldsmiths College. 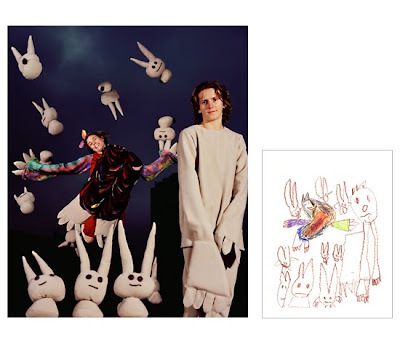 He has a number of really interesting series, and though Wonderland is not his newest project, it’s thoroughly engaging. 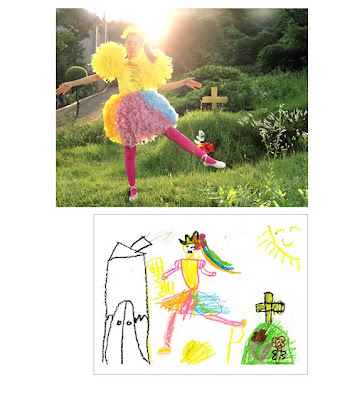 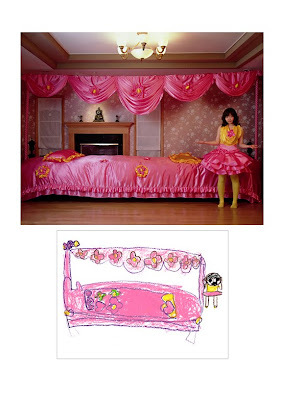 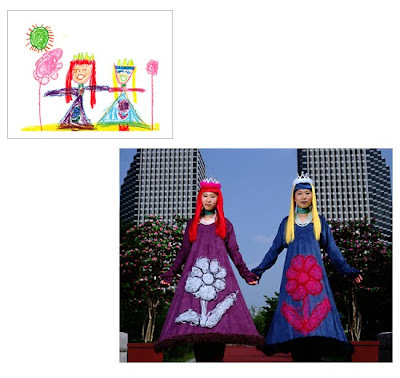 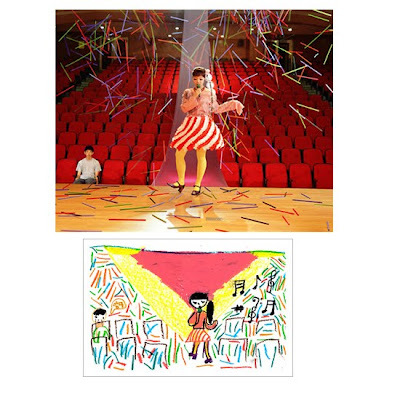 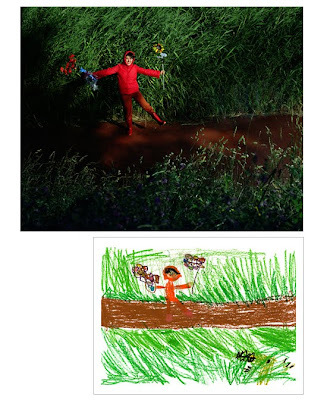 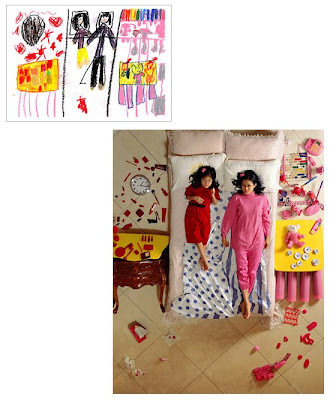 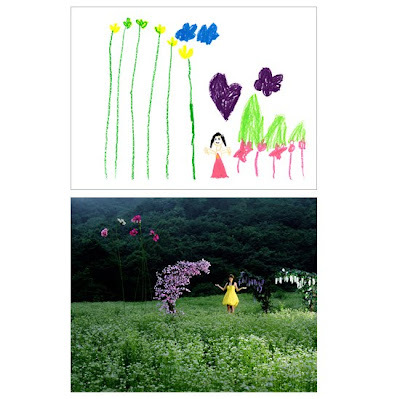 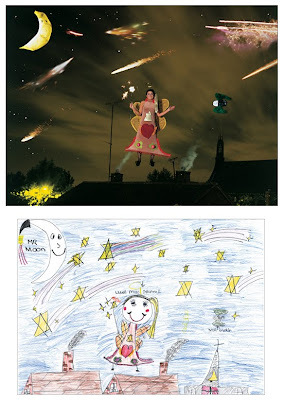 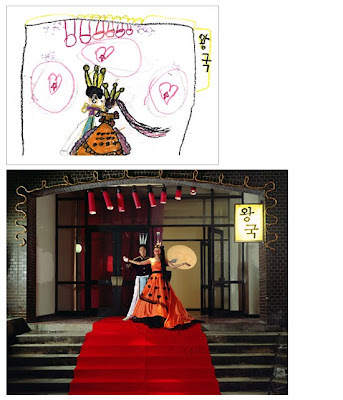 Using children’s drawings, he has recreated the images through his photographic interpretations. 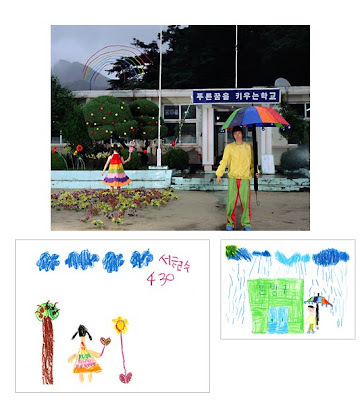 Yeondoo Jung set out to turn the drawing’s of 5-7 year old children into reality, some interesting environments were sure to arise. 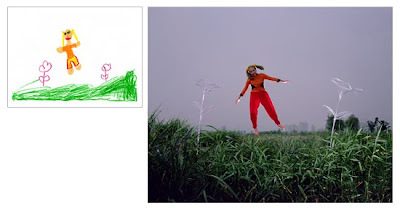 after he collected over 1,000 drawings, a select few were selected and turned into reality through a series of photo shoots titled ‘wonderland’. 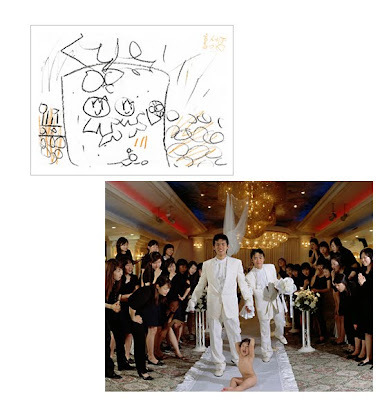 the results are just as fascinating as the original drawings.